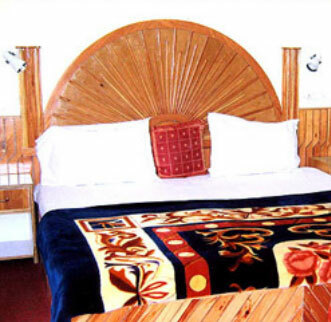 Accommodation: Hotel Mannat Cottage Manali is meticulously situated close to most important historical attractions. It is surrounded by the luxuriant foliage and sprawling apple orchards at a very short distance from Manali’s places of tourist interest like Nehru Kund, Naggar Castle, Club House, ManiKaran, Tibetan Monastery, Hadimba Temple, Vashista Temple, Marhi, Kothi, Gulaba and Rahla Fall. The rooms and suites of the this deluxe hotel Manali covers satellite TV with channel music, attached bathrooms with hot/cold shower, bathroom sleepers, refrigerator, daily bed tea, shaving mirrors, telephones with international dialing, bathrobes, alarm clock, same day laundry, CCTV & Music, 24-hrs room service, etc. Dining Facilities: Hotel Mannat Cottage does serve finger-licking culinary delights such as Indian, Chinese and Continental food whose aroma coming out straightway from the kitchen will increase your appetite and make you anxious to eat to a greater extent. Business Facilities: Conference hall, broadband, instant facsimile, wi-fi with internet connection, projector, photocopy machine, fax, courier, telegraph, 24-hrs secretarial assistance, travel desk, mobile on rent, etc. Recreational Facilities: The recreational facilities that are easily obtainable at Hotel Mannat Cottage Manali to unwind yourself primarily include panoramic snow clad mountain view as well as river, pool table, beauty salon, spa and Jacuzzi, steam bath, gift shop, health & fitness center, sauna, badminton, adventure sports, shopping arcade, bar, yoga, meditation, nature walk, jogging track, outing trips, billiards, table tennis room, etc. Other Facilities: Welcome drink on arrival, fruit basket, tour guide, travel and tour counter, money changer, reception, doorkeeper, medical assistance, car rental service, shuttle service, car parking, personalized services, baby care facility, airport/railway station transfer, wheelchair on request, electronic safe, fireguards, generator, acceptance of credit card, etc.